New research finds that cheaters overinflate their academic ability. In four experiments outlined in the March Proceedings of the National Academy of Sciences, Temporal view of the costs and benefits of self-deception, researchers from the Harvard Business School and Duke University found that students who cheat on a test are more likely to deceive themselves into thinking they earned a high grade on their own merits, laying the foundation for future academic failure. The full pdf of the study is available along with the abstract. 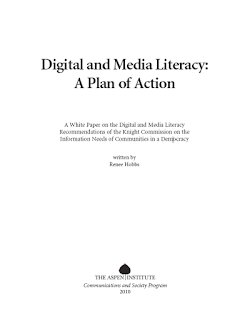 This 63 page paper outlines specific steps that policymakers and educators can take to strengthen a communities digital and media literacy skills. Reexamining the Relationship Between Academic Achievement and Social Behavior is a recent study out of the University of North Carolina which finds that students who behave poorly in school don’t always get poor grades. Published in the Journal of Positive Behavior Interventions, the study followed 350 children in seven elementary schools with high concentrations of disadvantaged students for five years. They found that teachers tend to think well-behaved students are succeeding academically, even when they are struggling, and that students who act out in class are having academic difficulties, even when they’re not (Education Week). Classroom Learning Environments and the Mental Health of First Grade Children is a study in the March issue of the Journal of Health and Social Behavior which links first grader stress to school environments. 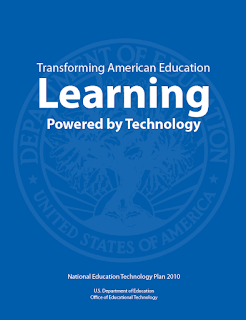 A study released in March by the National Center for Special Education Research (US) looks at the Secondary School Experiences and Academic Performance of Students With Hearing Impairments.